As usual, there have been loads of things happening over the last 12 months in the storage space. The Solutions Exchange at VMworld is always a great place to meet new storage startups, and get some further information on their respective products and innovations. This year, I’ve made a note of a few startups that I wish to catch up with at VMworld 2015 and find out what issues are they trying to address with their technology, and why should a customer choose their solution over some of the others in the storage space. Disclaimer: Please note that I am not endorsing any of these vendors. This is simply technology that I am interested in, and something I want to learn more about at VMworld. I’d urge any readers attending VMworld to do the same. For those not attending, my goal is to learn enough about these new startups so that I can write an article about them at some point (if I haven’t already done so). Cohesity – These guys exited stealth in mid-June 2015. From some of the articles that I have read, Cohesity is a converged storage solution focused mainly on backups of data in VMware environments. This sounds like it could be a very similar use-case to Rubrik, which is also on my list. However, I read that Cohesity plan on other “use cases” very soon. Perhaps they will discuss some of these at VMworld. Mohit Aron, formerly of Nutanix, heads up this new company. 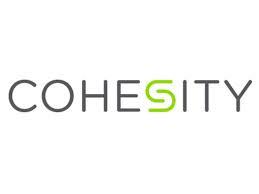 I’ve had no briefing yet on Cohesity, so I look forward to learning more about them. Datrium – This is another company who only came out of stealth very recently in July 2015. Again, I haven’t been briefed by Datrium, so I don’t know too much about them. In the VMworld conference notes, they describe their Datrium storage systems as enabling dynamic data centers to manage storage like VMs. Sounds interesting. Duncan wrote an introductory blog post about them here. Also, my good pal Wen Yu (formerly of Nimble Storage and VMware), has recently joined them, so I’ll be making sure I find some time to spend with him and getting the low-down. 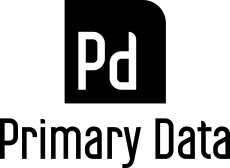 Primary Data – Another startup on which I have little information (but hey, that’s why I want to check them out at VMworld) is Primary Data. The VMworld blurb states that Primary Data solutions give companies a new level of visibility, insight and control over their most valuable asset: their data. Primary Data present a “unified file directory namespace” visible to all servers, to quote a 2-year-old article in the WSJ. Sounds like they could be kind of interesting. I wonder what they mean by “unified file directory namespace”? Guess I’ll find out soon. I’ve already reached out to them for a briefing. Rubrik – I already wrote a little piece earlier this year on Rubrik and the r300 series appliance here. Rubrik are taking a new approach to data backup and recovery, wanting to bring Apple Time Machine simplicity to enterprise backup and restores. I look forward to catching up with Bipul, Julia and the magnificent Mr. Chris Wahl (who recently joined Rubrik) at this year’s conference to learn more about their up and coming plans. SpringPath – SpringPath are another storage vendor in the hyper-converged space, providing scalable storage services. Interestingly, they offer a choice of standard servers to run on. Once again, they use a flash-optimized approach for acceleration. I did a write-up on SpringPath earlier this year but I hope to have some time with Mallik, Krishna and the guys and find out how things have been going since they launched, and what new stuff is planned. Again, I’ve barely scratched the surface here. There are a plethora of sponsors and exhibitors at this year’s VMworld once again. Make time to take a wander through the solutions exchange at some point this week. There is sure to be something to interest you. You might also be interested in reading similar articles that I wrote for earlier VMworld events, such as Storage vendors to check out at VMworld 2013, and Storage vendors to check out at VMworld 2014. Howdy Cormac – great piece – especially for a storage person like myself who will be attending VMworld. I know you did your best to catch them all and not wanting to be a shill, but what is your thought on both the premise ‘Copy Data Management’ and Catalogic Software? Catalogic has come out with their new software-only copy data management platform that leverages your existing infrastructure and can help you drive automation into your storage. Thanks. They’re not on my radar currently. I added them to my list of vendors to check out in the Solutions Exchange. Isn’t Catalogic a NetApp only technology? Anyhow, curious what your thoughts are post-VMworld Cormac. Any new views on Rubrik vs. Cohesity? Nope – they appear to also do EMC and maybe others.